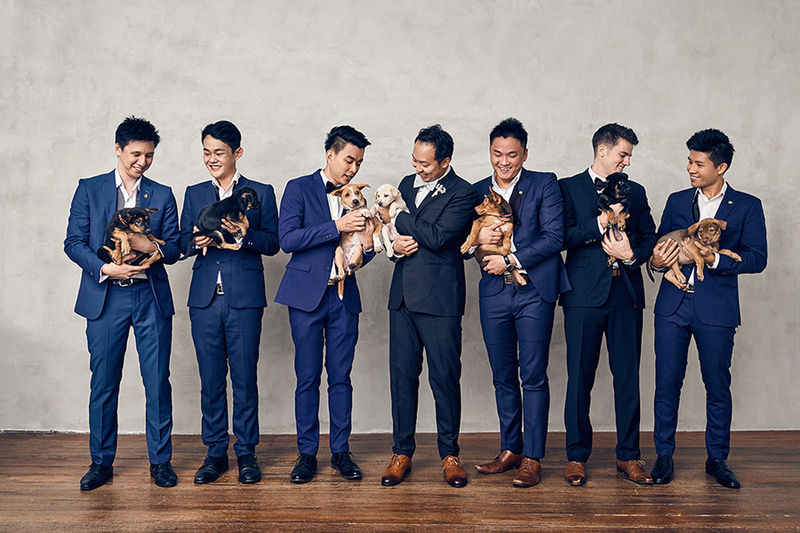 This has to be one of our favourite shoots to date, and perhaps our most manic with 8 squirming puppies and a bridal party of 13 rushing to get the perfect shot. We loved every minute of it! 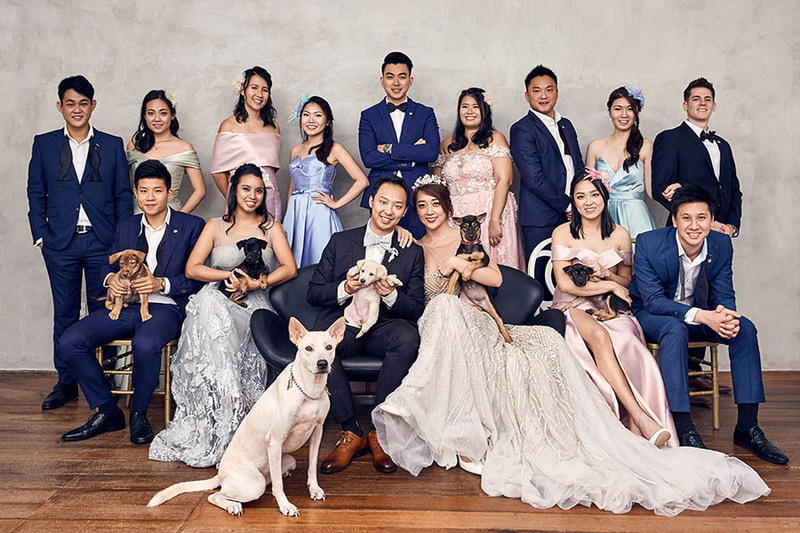 The Wedding Scoop's Assistant Editor Natalie and her fiancé Andrew want to use their wedding to give back to society and TWS was thrilled to conceptualise and co-produce this styled engagement shoot with Spellbound Group to encourage couples to provide loving homes for rescued stray puppies from Singapore animal welfare charities Causes for Animals and Exclusively Mongrels. 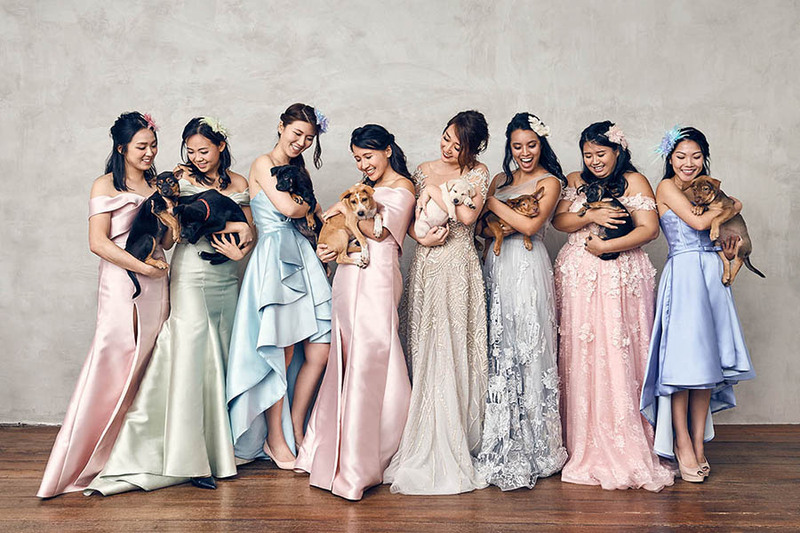 We think these bridal party portraits are a little bit Vanity Fair, a little bit adorable, and for everyone involved, a whole lot of meaningful! 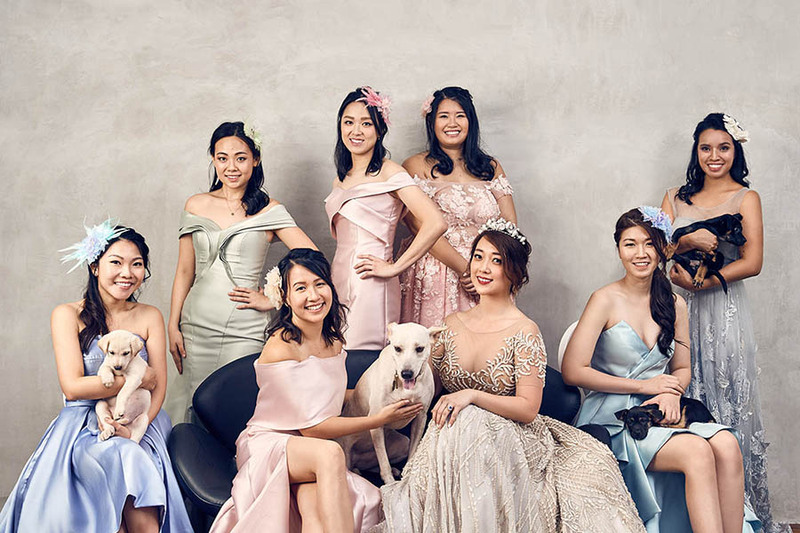 Be sure to read on to the end for more details, and all the vendors that made this shoot possible. 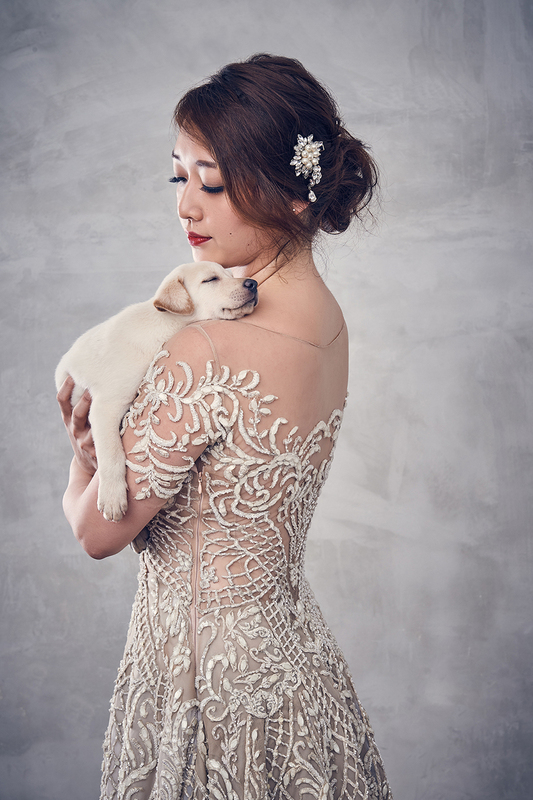 Also, check out the styled shoot video interview below, by Red String Video Co.! 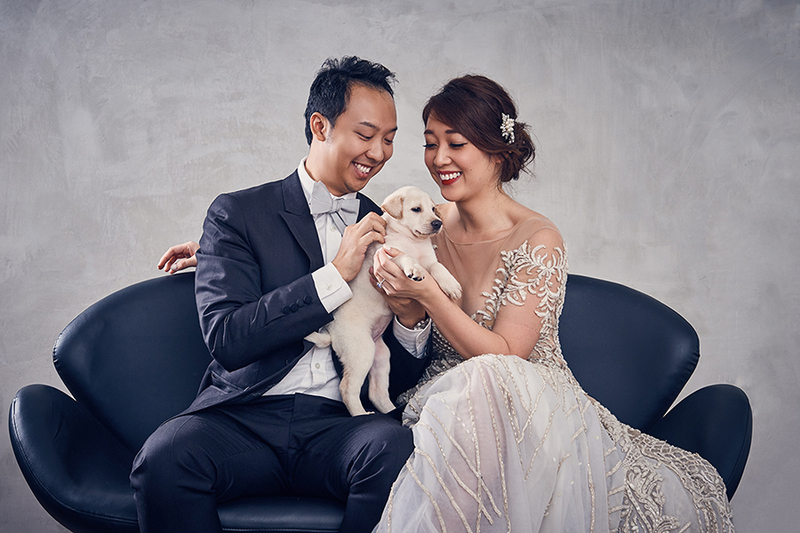 “We volunteer and run community service projects together during our spare time, so when we started planning our wedding we were really excited and knew that we wanted our celebration to be one that included socially-conscious elements too! 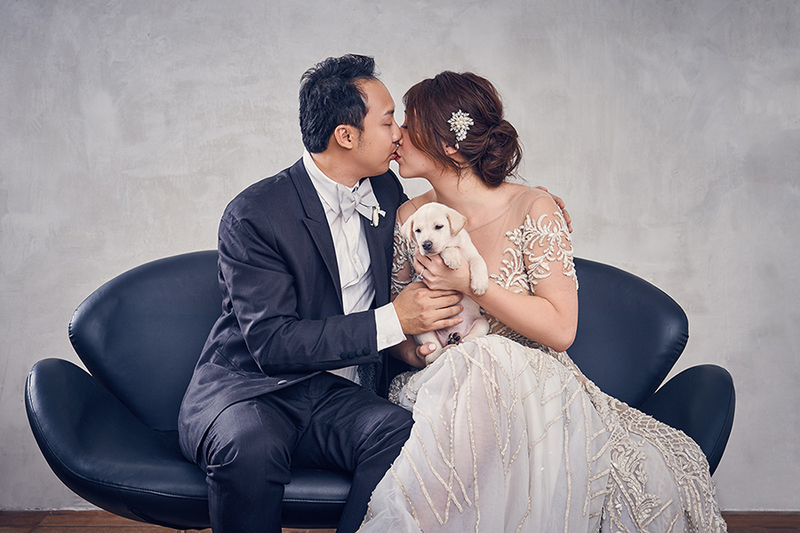 This year, The Wedding Scoop is also focusing on how couples can give back through their weddings in different and creative ways, so we thought this was the perfect opportunity to work on something special together. 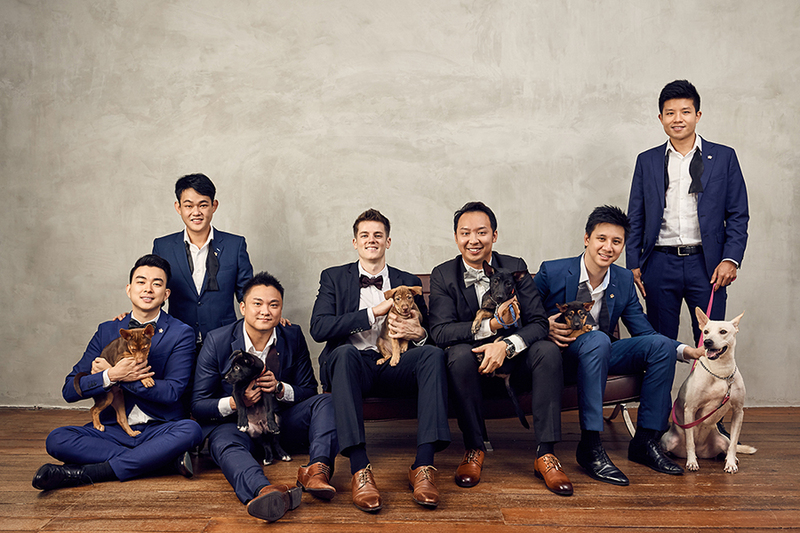 Prior to this we'd organised a fundraiser for animal shelter Hope Dog Rescue with The Shiok Collective. From that experience we gained some insight into animal welfare groups and the importance of the work that they do, and are really happy to have had the chance to work with Causes for Animals (CAS) and Exclusively Mongrels (EM), together with wedding vendors Spellbound Weddings, Antelope Studios, Francis Libiran, Gioielli, Autelier Makeup, Red String Video Co., XOXO & Co., and Events Partner. 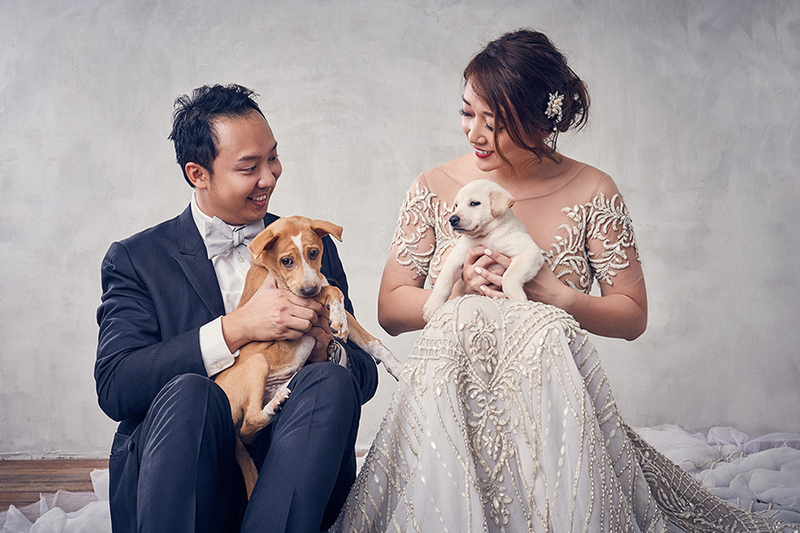 Christine and Marcus from CAS and EM respectively shared that getting married is a great time for couples to adopt a new family member as they move into their new homes, which is why we decided to do a Vanity Fair-inspired bridal party photoshoot with the rescued dogs to present them in a way that's never been done before, and to show just how easily they can fit into the modern family (while making great companions)! 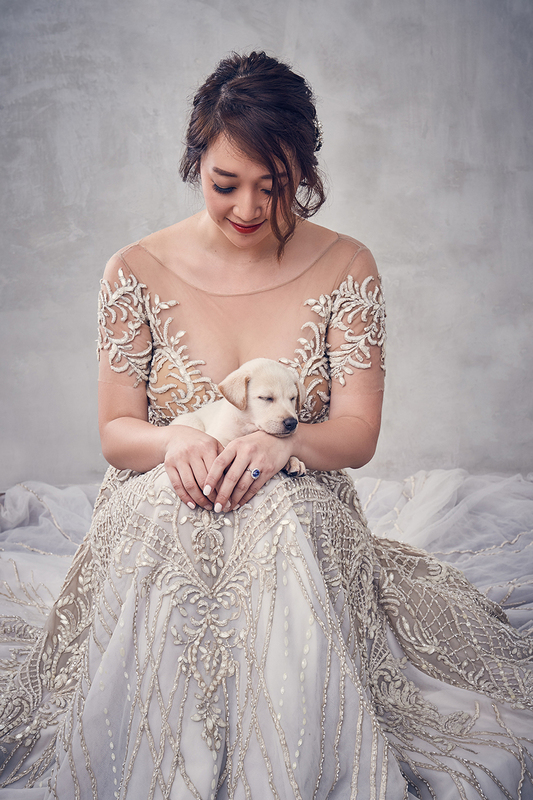 It was an inspiring day, getting to connect with the people who make these animal welfare organizations possible - the ones who work so hard to make sure that these rescues are taken care of and find a forever home. 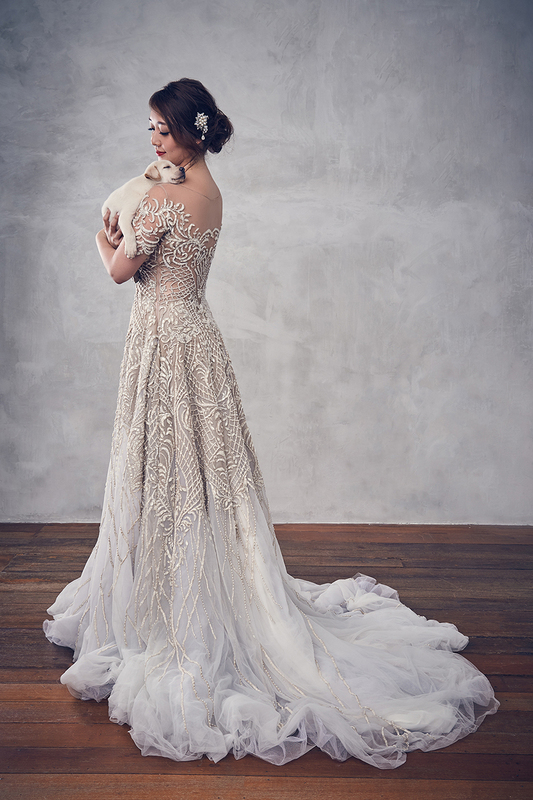 Styled shoot co-produced by The Wedding Scoop. 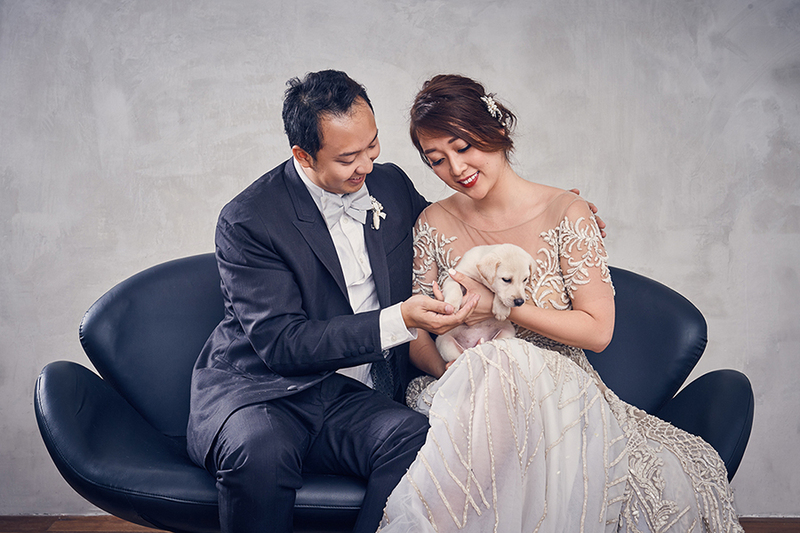 Videography: Red String Video Co.